World is changing with the rapid growth of mobile phone technology. As the number of users is increasing day by day, it has also increased expanding growth of mobile applications. Now a days mobiles are not used just for making calls but they are integral part of our life providing various applications to manage our daily activities. That’s why we are here with oeHealth Mobile. 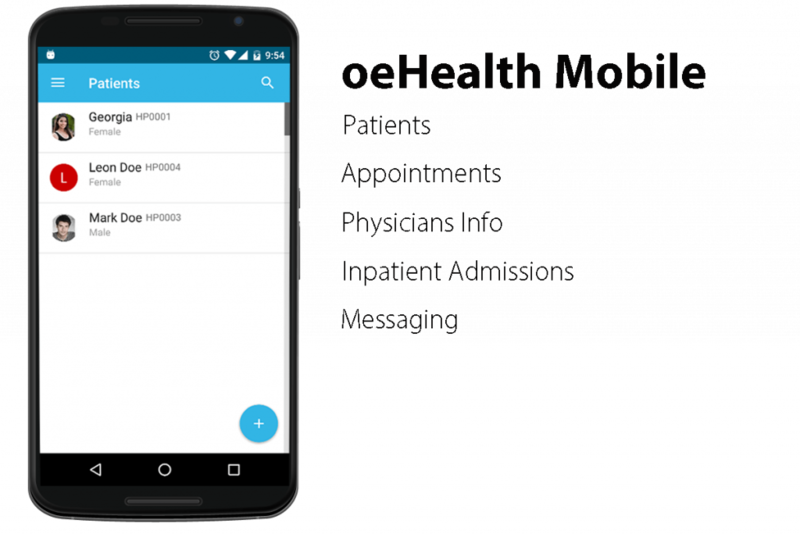 oeHealth Mobile apps will be available to download for Free on Google Play store and existing subscribers of oeHealth modules will be directly link and manage required information from web portal to Android app. All the oeHealth packages available on the website will be linked to Android app. We’re working seriously hard to achieve the deadline. Stay tuned with us for further updates! This entry was posted in oeHealth News and tagged android, app, mobile. Great. Im waiting for this. Any new about this application, and how to become a beta tester?